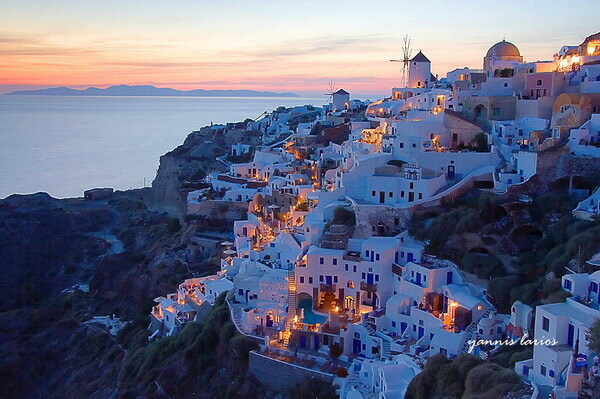 A photo of Oia, Santorini at dusk. Oia’s sunsets are nowadays a tourist attraction, gathering thousands of tourists every evening. I ascended a high-vista point where I could have a good view, early in advance and before the sun set. No point! The high contrast was killing their scene. I could see them…. Instead of enjoying the moment, they were absorbed by their camera LCDs, mumbling dissappointed, and saying things about the “damn camera” that could not capture the sunset. When the sun set, they all left… like they where vaporised! I was left there alone, with another enthusiast photographer. A total stranger to me…. Thank you Photography, for letting me chase the moment. This entry was posted in photography, Santorini, Yannis Larios | Greek Travel and Wedding Photographer. Bookmark the permalink. I’m heading to Oia and Meteora this weekend for my honeymoon (will be our first time in Europe!) and I stumbled upon your website and blog. Just wanna let you know that your images have made me feel really happy to know what we’ll be in for in Greece. I’m reasonably new in photography but am one of those carrying tripod and ND grads around. I hope I’ll get anything half as good as what you produce. That’d make the trip worthwhile! Thank you so much for the inspiration Yannis.